I stumbled upon a very nice still which is made of plastic and will cost you less than 20euro (approx 25 dollars or so). And will create approx 45% alcohol. I would tend to listen to this advice. My first impression of the idea is that I prefer copper or glass. 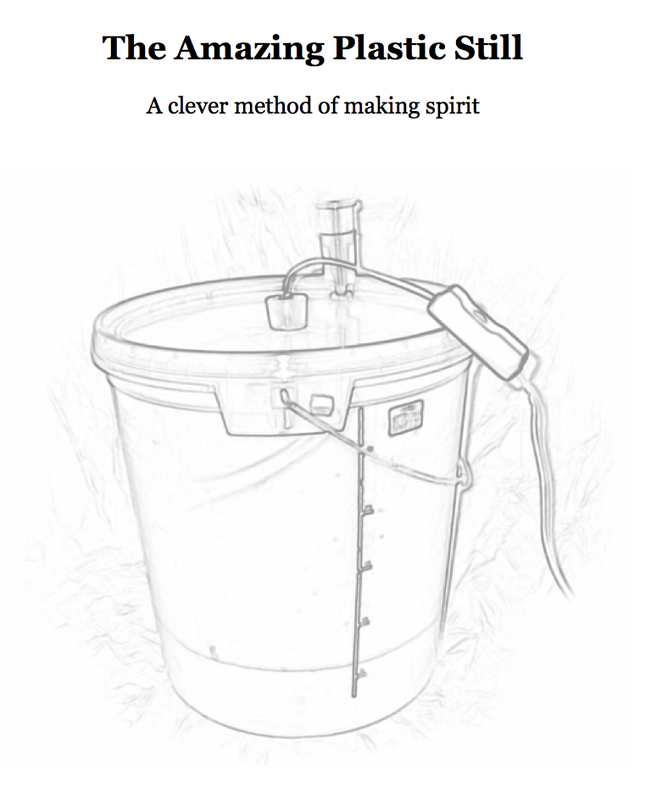 The concept seems sound, though but I'd like to know more about the characteristics of HDPE buckets in the presence of hot ethanol fumes before I go make one. And it doesn't allow the operator to separate the various stages of the distillation process as they all recombine in the bucket, so you wouldn't be able to pour off the initial impurities (methanol traces, fusel oils) like you could with a traditional design and in BB's recent thread about distilling he mentioned cleaning up cheap store-bought vodka and getting 50 mL of crap out of a couple of liters of vodka (which is a lot of crap!) and in a bucket still they would remain in the final product. But it IS pretty freakin' clever and looks like it'd work in a pinch. 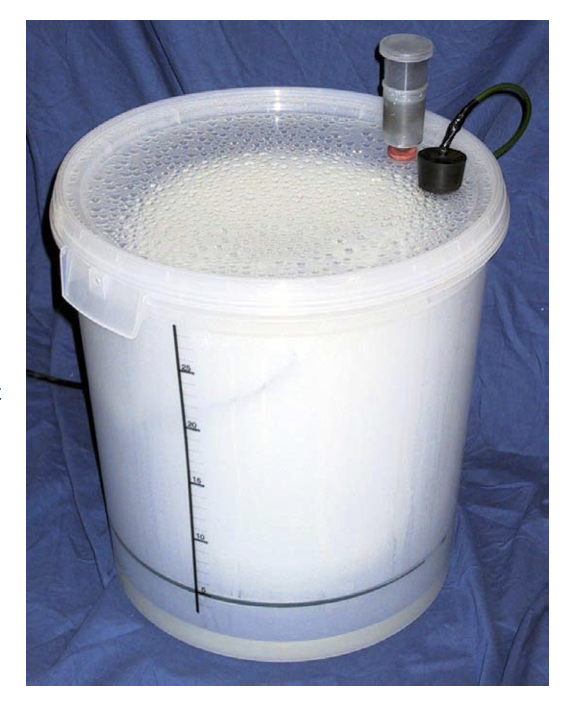 Might be a good way to run a lot of mash quickly (set up a bunch of buckets, use solar heat? ), greatly reducing the volume before running it through a traditional still, especially if our still is rather small.